The Centers for Disease Control and Prevention has released new data from the National Survey of Family Growth, and congratulations: Half of women ages 15-44 in the United States plan to have a baby in the future. Mazel tov! OK, so it's not exactly a pregnancy announcement. But it is a significant statistic, and not just because we're all nosy and want to know if the neighbors plan on bringing another baby home. In 2002, only 46 percent of women 15 to 44 years old were expecting to have a baby, reports the CDC. By the time the latest survey period, 2013-2015, rolled around, that percentage had increased four points, to 50 percent. What happened? Did all those U.S. women suddenly realize they need someone to care for them in old age? 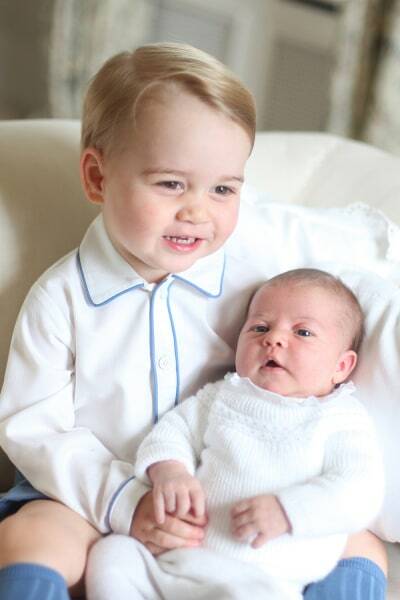 Did the adorable plump cheeks of the royal babies sway them? Perhaps, but that's probably not the reason more women are planning on having children. It might actually signal more confidence in the economy and increased security in wages and earnings, as a recent article on STAT explains. A bad economy brings fewer births. When U.S. birth rates rose in 2014 by 1 percent, ending a downward trend that had been in place since 2007, it signaled that the recession didn't mean a permanent demographic change but simply a delay in childbearing. These latest statistics seem to bolster that argument. Further, 86 percent of women 15 to 24 without children said they expected to have children someday, says the CDC. That's telling because only 77 percent of childless women ages 25-34 reported they were expecting to have a child in the future. That might signal that younger women see more paths to childbearing, or even feel more confident that they can afford having a child with the passage of the Affordable Care Act. As more people gain insurance through Obamacare, the health costs of having a baby could feel more manageable. The National Survey of Family Growth has been measuring birth expectations since 1973, and 5,699 women were surveyed to get the data found in the 2013-2015 report.